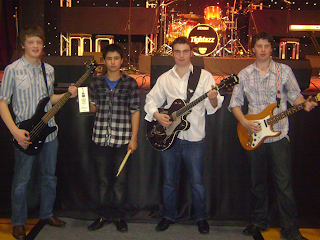 Congratulations to the Out Back Hunterz who won the Intermediate Group Section at the Gold Guitars at the weekend. 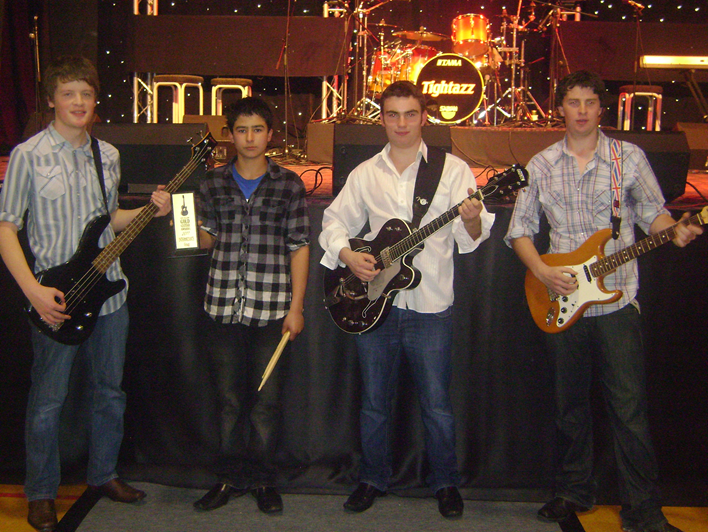 This was the first year they entered and they were very well received by the large crowd at the finals. Out Back Hunterz consists of Ryan Dyer on lead Guitar, Chris Goble on Bass Guitar, Jack Townley, Rhythm and Lead Vocal and Connor Singh (JHHS) on Drums.